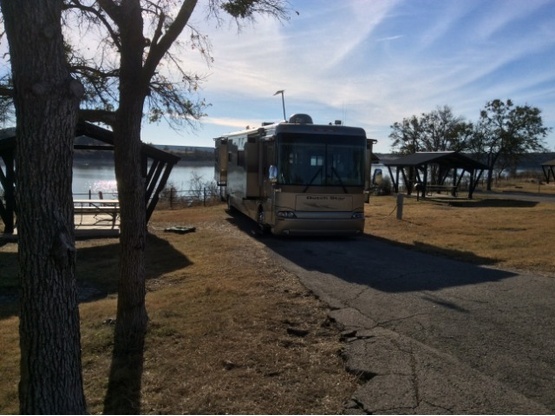 Retired couple new to RV-ing. Nannette and I (Peter) are new to RV-ing having purchased a 2005 Newmar Dutch Star in November of 2016. Our first outing took us across the country and back on a 10 week journey. This past winter (2017-18), we were gone for 4 months traveling to a couple of the same places as last year but going mostly to new locations. This year we were able to boondock for several weeks in the deserts of Arizona and California and these were some of our favorite times. Since we are very new to this, we have mainly traveled in the winter and our summer plans have been very limited and uncertain. It seems that we will be here for June and a lot of the summer if someone could use a place to stay in this area. Nannette is a nurse and nurse practitioner. I am a forester/logger. I do almost all the work on our rig, which is challenging because, even though I have done a lot of mechanic work in my life, I have not done any work on an RV. It seems however, so far, that I have been able to fix what breaks. .
We travel with Clancy, our 4 year old mixed breed dog and Finn our 10 month old cat. Both of them are very easy to travel with but they really enjoy the freedom of being loose at home. 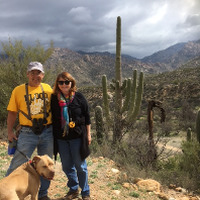 Our experience is limited but we loved being outside Oracle Junction, Arizona and off of Sidewinder road in Felicity, California. 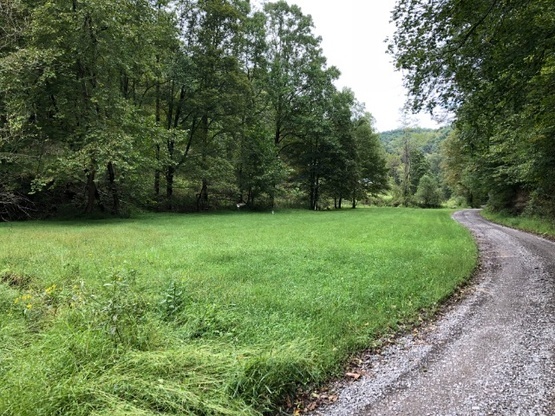 Our mailing address is Salem, West Virginia but we actually live in the neighboring, Doddridge County outside any town limits. We are about 25 miles away from a Walmart, just to give you an idea. The wvpete couple were great. We sincerely hated to see them go. Even though both my wife and I are fighting a cold, the visit was still enjoyable ( we tried to not spread our cold). Without inviting them for a meal, we were still able to spend some time together. Pete was a great help putting up some outdoor lighting. We hope to see them again. We had the greatest but too short a visit with Pete and Nannette. A most charming and entertaining couple. Respectful of our property and overly worried about their dog that was no problem at all and got along with our dogs. The cat never came out of the RV. We shared laughs and experiences and Pizza. They are welcome back any time and we hope to be boondockers at their place in WV. Stay in touch and travel safe. Sorry about the rain. Very nice and gracious guests. Found Nan and I had walked the same sand in Africa. We couldn’t have been happier to be the first Boondockers to stay with P&N. They couldn’t have been more welcoming, and accommodating. I don’t want to set the expectations too high, but we felt spoiled. It was so good to check off 48 of 48 continental states in such a great spot. It was so beautiful and we couldn’t have asked for better company. We love that we have 2 new friends. Don’t skip this spot.